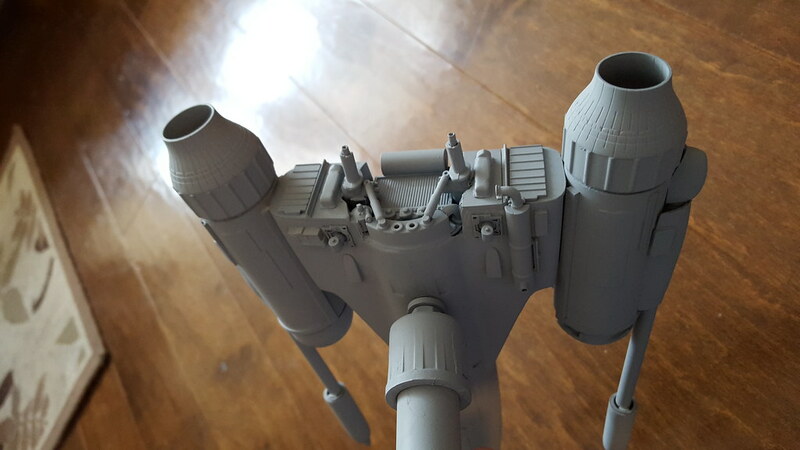 I wanted to show off how the model looked in the pristine, gray primer stage to see how it might have looked on the factory floor. 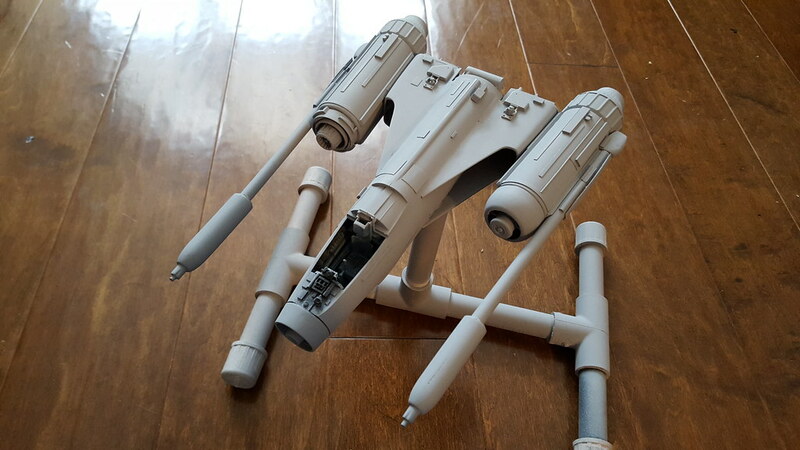 I have decided to let the gray primer be the undercoat or base coat of the starfighter, the same as the Terrox fighter. These moody images were taken in my living room with overcast winter skies outside. Nothing much to say here other than what I used for a primer. It was fill primer from a spray can. The same stuff you use on cars. Stinks to high heaven and I have to wear a mask when using it, but it gives a good even layer of paint. I’ll have to go in and repaint the gray blue areas in the back again. But that’s all part of the modeling adventure. 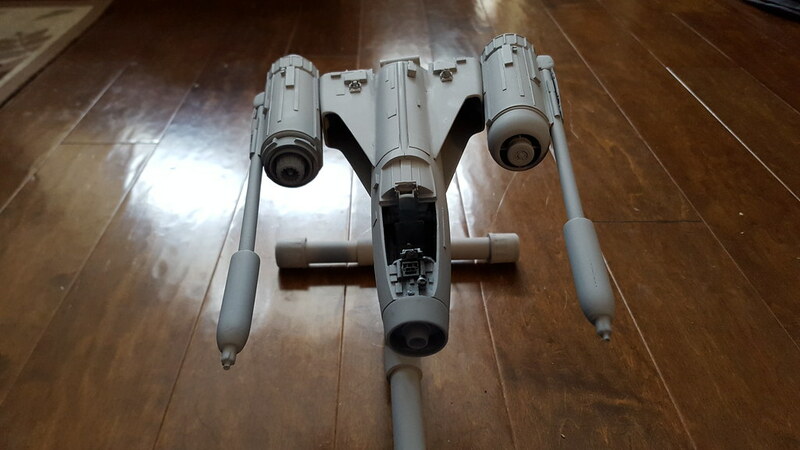 The engines are similar to the Terrox fighter, but not as powerful or as long. 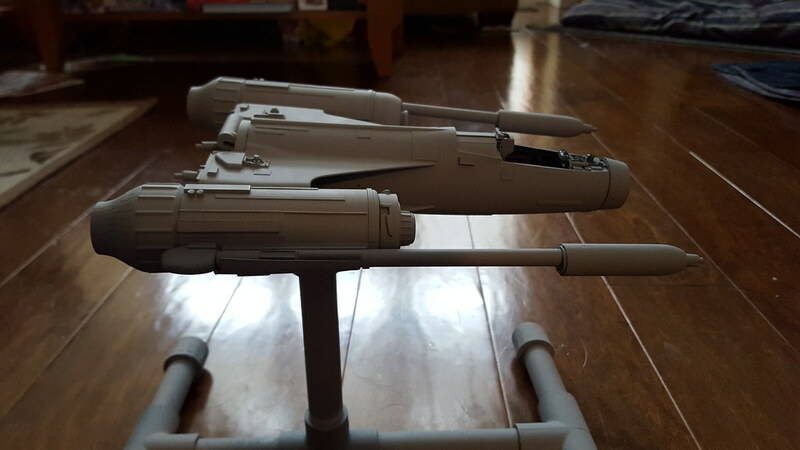 This is a smaller, more maneuverable fighter with bigger blasters. Probably more of an attack fighter. 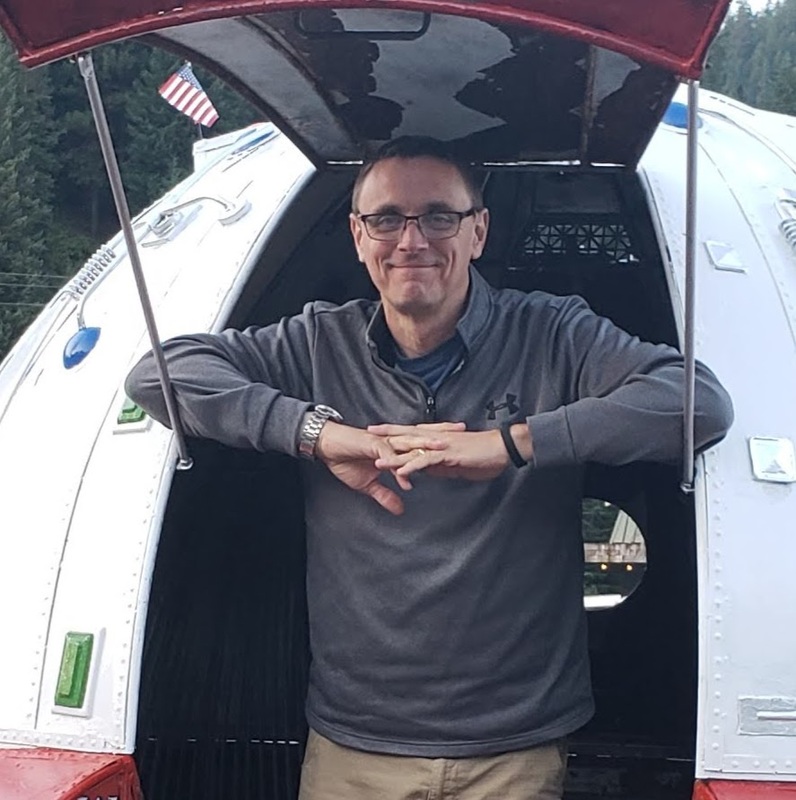 Kind of like a space version of the A-10. I decided to add some color to this model. 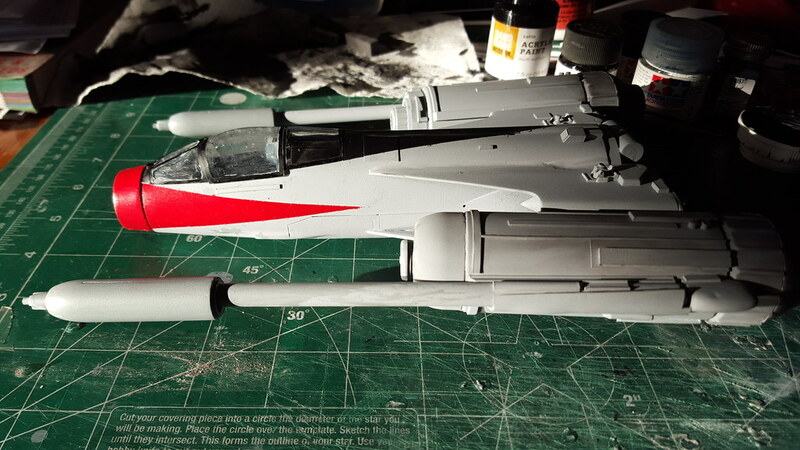 Going with Votainion red swishes on the sides and a black swish over the canopy area and up the top of the model. I may add some more black or darker gray pieces to show a slow, visual transformation from gray fighters to black in the K’nat fighter. The other reason of course is historical precedence on fighters. Blacked out canopy areas are common to cut down on sun glare. Coming at you with new livery. 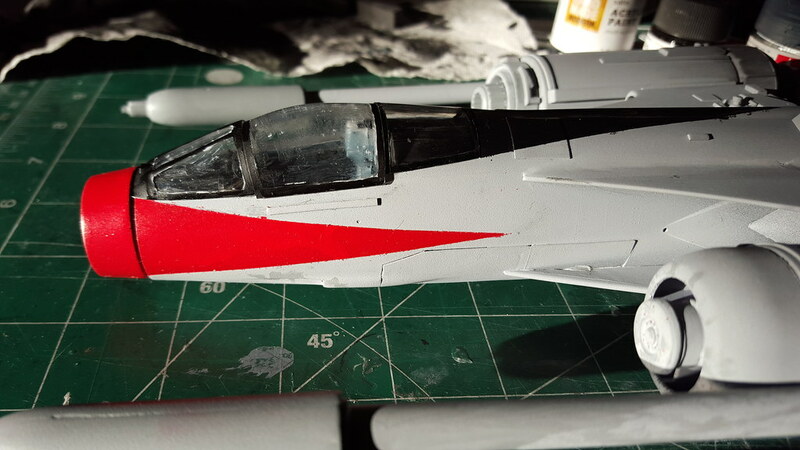 The canopy appears a bit rough in part due to my failed experiment with liquid mask. I didn’t get it on thick enough and it didn’t come off clean. So my glass is really scratched up as a result. Just going to have to weather the rest of the model to match. 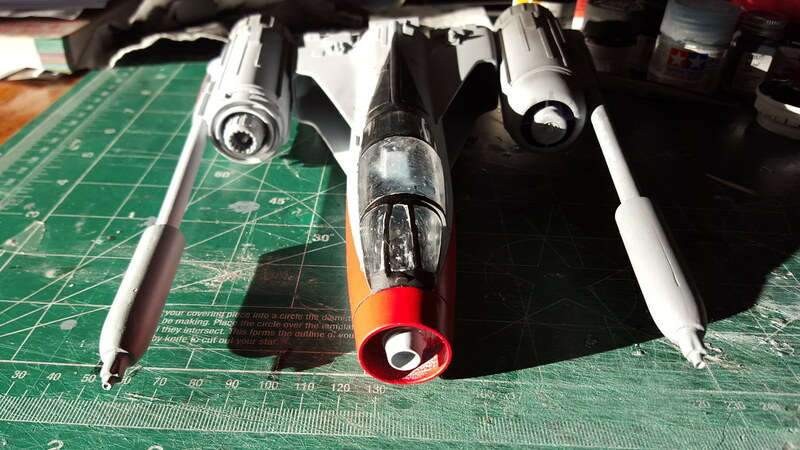 There is a gap on the right gun barrel, I’ll need to fill and sand that before going much further. I used red Testor’s spray paint for the nose and simply masked with blue paper tape. 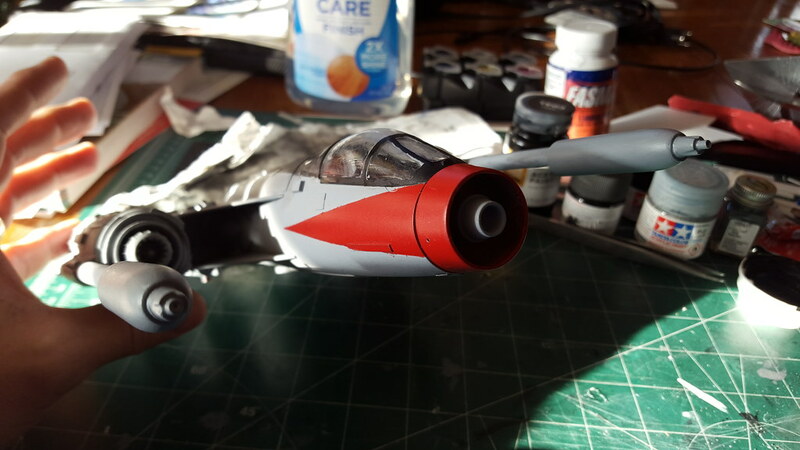 I decided to follow the line of the back piece of glass instead of the main canopy. This resulted in a notch of black, but I like it because it adds interest. Another mistake happened when I was spraying the red color. Some over spray happened on the blasters. So I painted them another shade of gray. Again, what was a mistake, ends up just adding interest to the final model. So, no big deal. 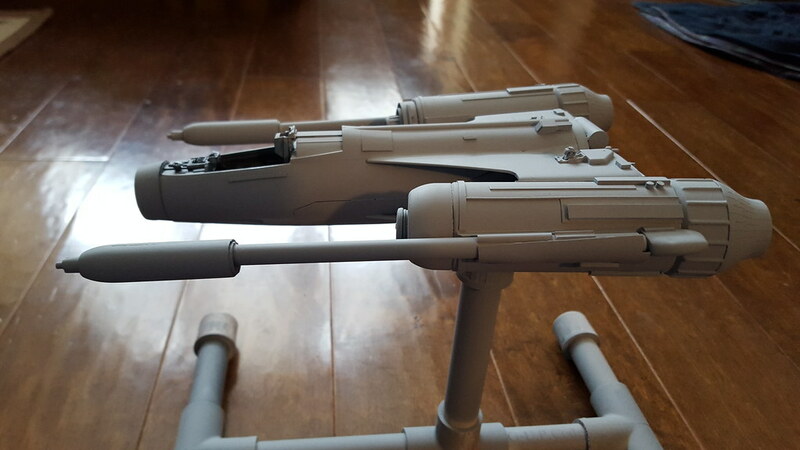 Next up, final painting and weathering.